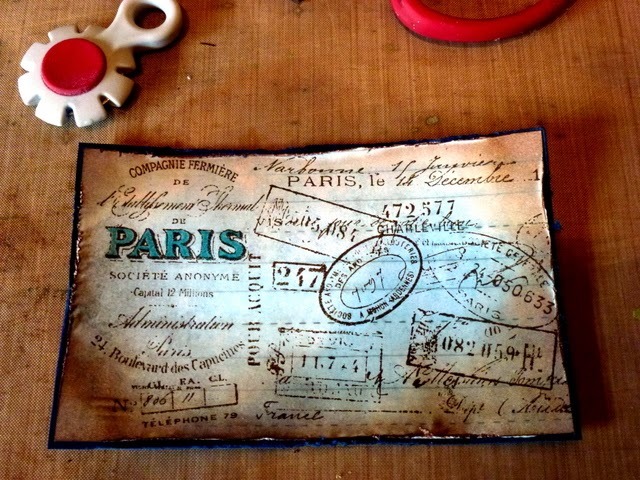 Hi Everyone..........its Annie here and I would like to welcome you to my first Destination Inspiration post at AVJ. Here the Creative Guides hope to provide you with some projects to inspire and motivate you. 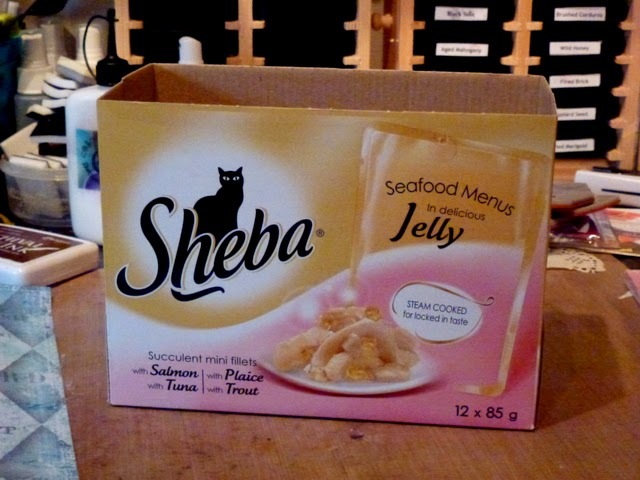 This is the box that I started off with...its fairly sturdy and great for storing various crafty items. 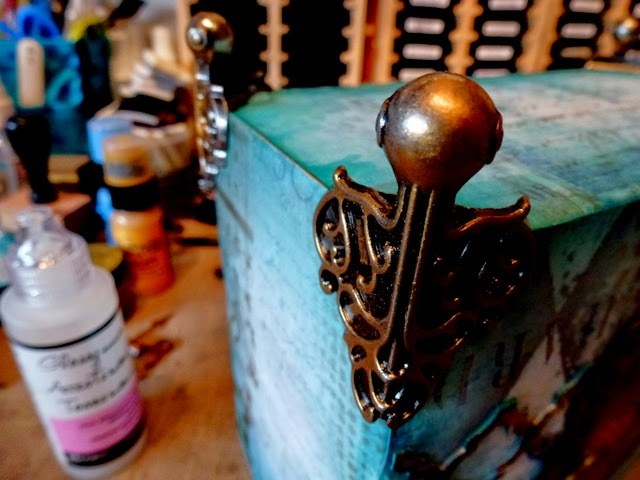 I used Tim Holtz Vintage Shabby papers to cover the box inside and out and once I had cut them to the required size I started to create ..........Ranger Glue n Seal was applied to both the box and the papers as I found this enables easier positioning. 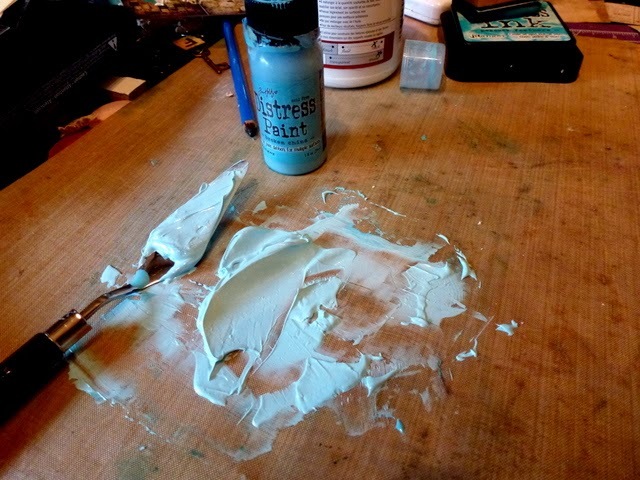 I then blended the edges of the paper in Peacock Feather DI, which really intensified the blue tones of the paper. 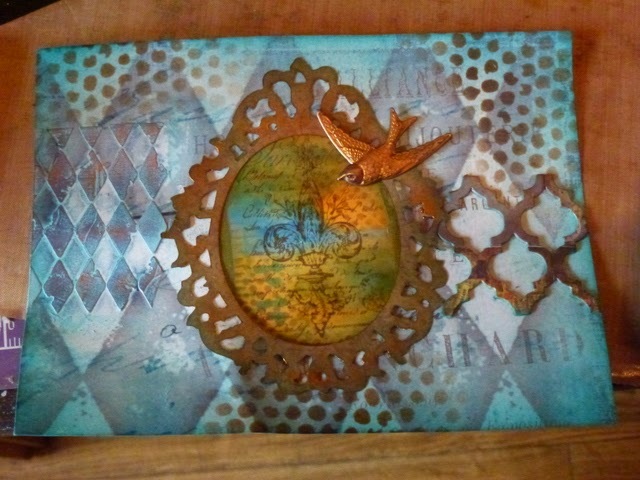 A piece of manila card was given Tim Holtz Marbling Effect, details of this technique are on page 43 of CC3. 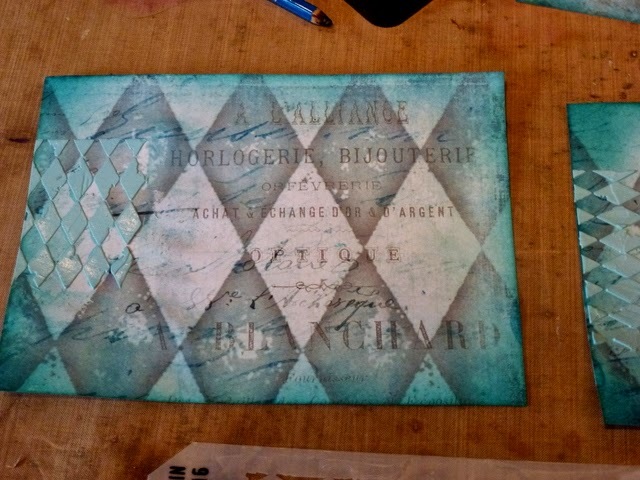 Stencil's, Distress Inks and some stamping, which you can see in the next photograph, were added to create more depth. 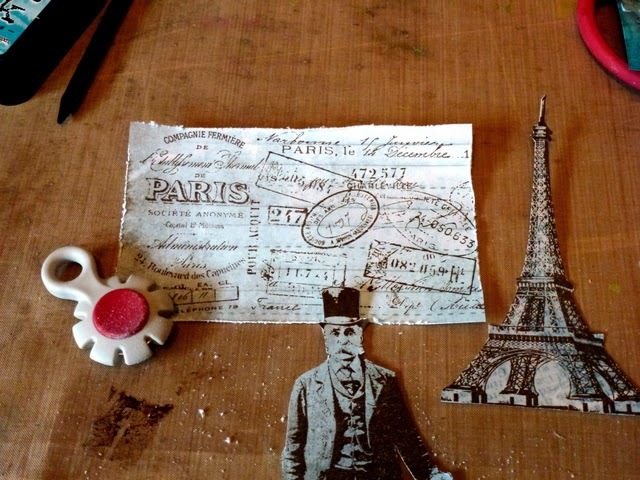 A favourite stamp set of mine is the Paris Memoirs and you can see below how they were stamped and cut out. 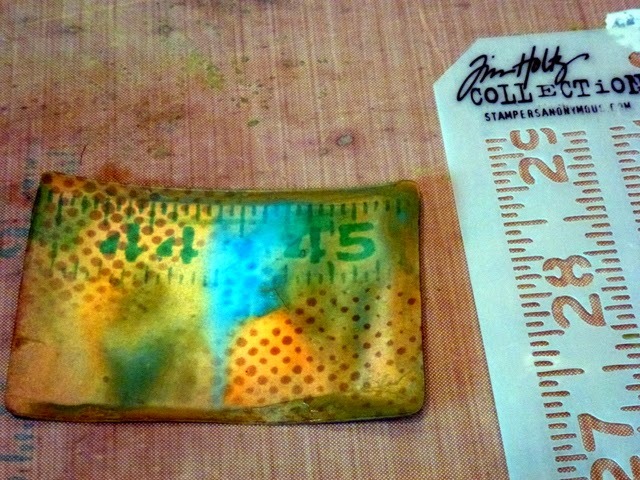 The edges of the main stamped image were aged using Tim's distressing tool. 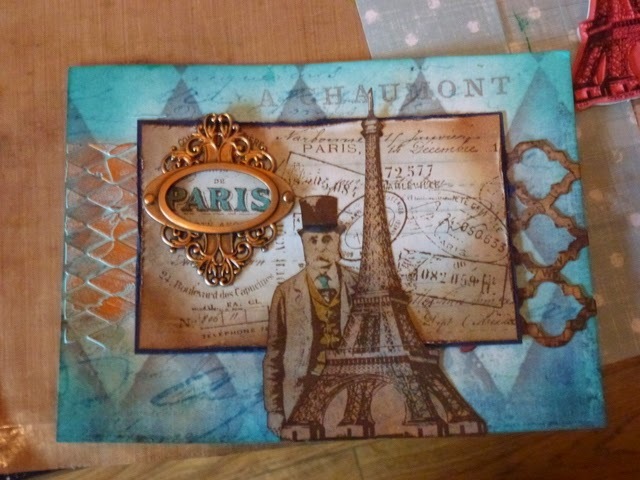 The word Paris, the gent's tie/waistcoat were coloured using Distress Marker's in China Blue and Scattered Straw. Vintage Photo DI was applied around the edges and then the piece was matted on to some navy card, which had also been aged around the edges. 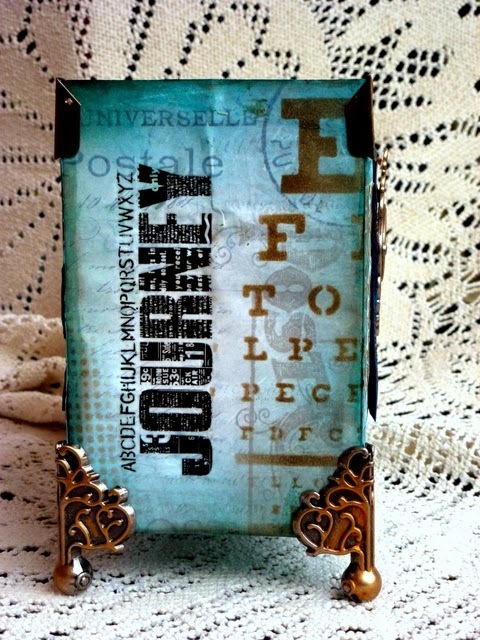 Now my pages are coming together and I added some Idea-ology ornate frames, a trellis (TH Trellis Die), gilding wax and TH Bubble stencil. Building up the other side you can once again view stenciling, Idea-Ology and gilding wax. Once I was satisfied with the decor I then began to add other Idea-ology pieces i.e the feet and corners. The feet and corners were adhered with Glossy Accents. This is the first of the finished views, where you can see I adhered a TH Adage Ticket and Chit Chat sticker on a mini clothes peg. 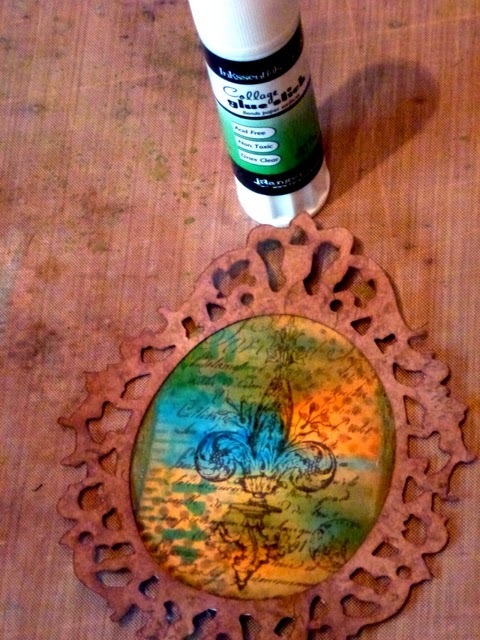 More stencilling on this side and an Idea-Ology Time piece with Spinner. Back to the front again, where I also applied a rub on. So there you have it my Recycled and Re-Purposed box, all ready to store some of my crafty bits and treasures. 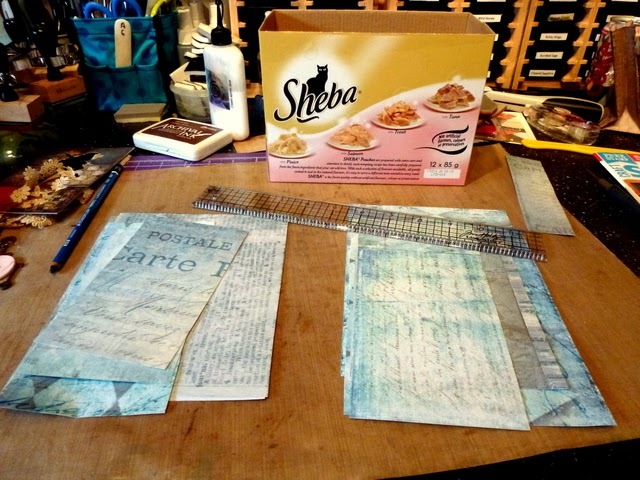 The step by step photos of how you altered the papers and created the central panels, give a really clear idea of your process, - thanks for that! The end result looks fantastic! I realy enjoyed this "journey !!! It's gorgeous, Annie - the papers with that blue inking absolutely glow, and there's such depth to the background. 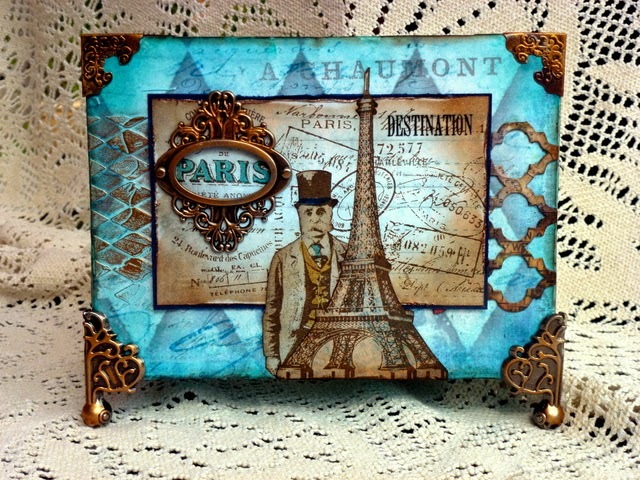 Love the panel with the Paris Memoirs, and the wonderful tinted harlequin texture. What a fantastic transformation, and a great step by step, thank you! What an amazing transformation, Annie! I love all the texture and the colors are fabulous! It makes you look at things you are inclined to throw away in a different light! 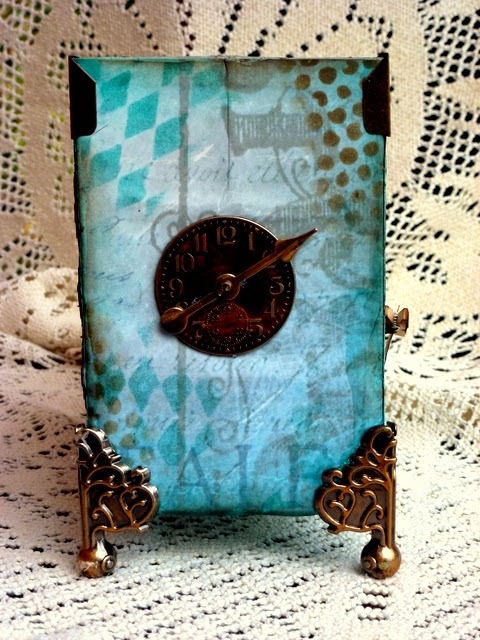 Love this project Annie! The step by step is always appreciated and the colors you used are so pretty together. Fabulous inspiration!! Sensational!!! I didn't want the photos to stop!! I love watching you transform anything. You've taken a functional box and turned it into a sensationally stunning work of useful art. Well done. Wonderfully detailed tutorial, Annie! 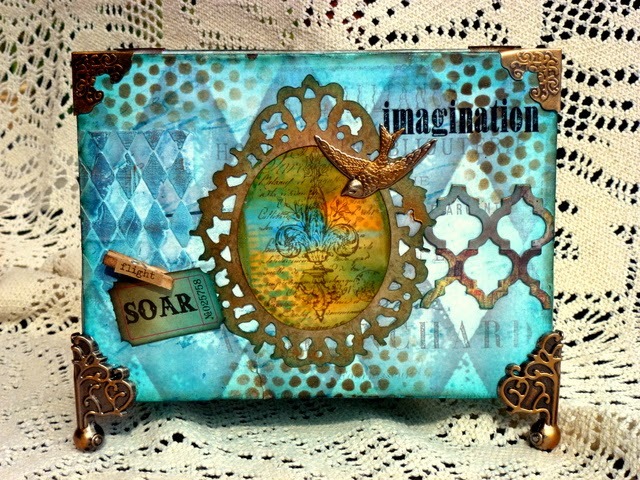 I totally love your altered box and the layers of paper, texture and stamps! The legs are a great touch and what a stunning way to hold those crafty bits! Love this! Annie, so much care and attention has gone into this fabulous alteration of some ordinary packaging. The feet of course make it special but it is your stamping which is the star attraction.